Speck but necessary, especially that Pantar is nowhere to be found for years. 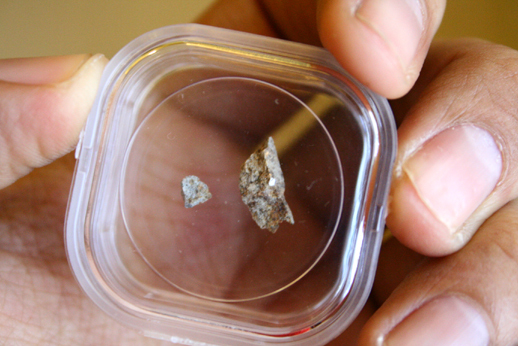 My second type of Filipino meteorite became an allenite, albeit almost insignificant. Sourced from Peter Marmet of Switzerland and Michael Cottingham.